Parallel Infrastructure, a national developer, owner and operator of telecom towers, seeks out underutilized public land for its towers. 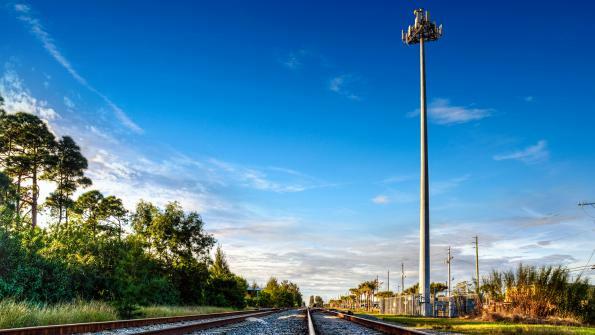 While cellular service providers have worked on expanding their coverage over the years, the constantly growing number of cell phone users has created a need for larger network capacities in more places. At the same time, as next-generation 911 communications emerge, municipalities are experiencing a greater need for telecommunications infrastructure. Parallel Infrastructure, a national developer, owner and operator of telecom towers, has devised a solution. Ed Myers, the vice president of Strategic Initiatives and Business Development for Parallel, explains how. “We work with a county to say we’d like to put up a tower, and we’d like to put it up on a county-owned piece of property,” he says. What benefits do the underutilized land offer Parallel? “We try and select sites that are already zoned as designated for telecom tower use or at least have industrial mixed-use zoning. Otherwise, per the local zoning and permitting processes, we have to obtain a variance in order to construct a tower,” Myers says. Avoiding variances saves the company the cost of legal representation and potential resistance from county residents who tend to dislike zoning changes, but, more importantly, leasing properly zoned land saves the company time as obtaining a variance can take anywhere from six months to two years. What else is the company looking for in potential tower locations? “The county may own land beside a trail or park where there could be coverage or capacity holes the cellular community may be trying to fill. There are populations moving along that corridor as well as in the surrounding residential areas in the nearby mile or two. [We’re looking for] those kind of locations,” Myers says. He notes that they do their best to integrate the tower design into the existing environment with some disguised as flag poles, light posts or even trees.